Variety reports that Nightflyers actress Jodie Turner-Smith has been cast in Universal Pictures and Makeready’s upcoming drama film Queen & Slim, starring alongside Academy Award-nominated actor Daniel Kaluuya (Get Out). The film is scheduled to make its debut on November 27, 2019. Queen & Slim follows the story of a couple after they’ve been stopped by the police and how that moment affected their lives. The film’s script was written by Ready Player One‘s Lena Waithe with Insecure director Melina Matsoukas to helm her first directorial feature film. Waithe will also serves as producer through her Hillman Grad Productions banner along with Andrew Coles, Michelle Knudsen. James Frey of 3BlackDot and Matsoukas under her De La Revolución Films. The movie will be finance by Makeready while Universal Pictures will handle its worldwide distribution. Turner-Smith has appeared in many shows such as HBO’s True Blood, The Last Ship for TNT and Amazon’s Mad Dogs. She will next be seen in Nightflyers for Syfy. Kaluuya has gained recognition for his role in Jordan Peele’s Award-winning thriller Get Out which earned him many award nominations including an Academy Award and Golden Globe Award for Best Actor. He is also best known for his role in Marvel Studios’ blockbuster hit Black Panther opposite Chadwick Boseman (17 Bridges), Lupita Nyong’o (Us), Michael B. Jordan (Creed II) and Danai Gurira (Godzilla vs. Kong). Kaluuya will next be seen in Steve McQueen’s upcoming heist film Widows, which will premiere on November 16, 2018. 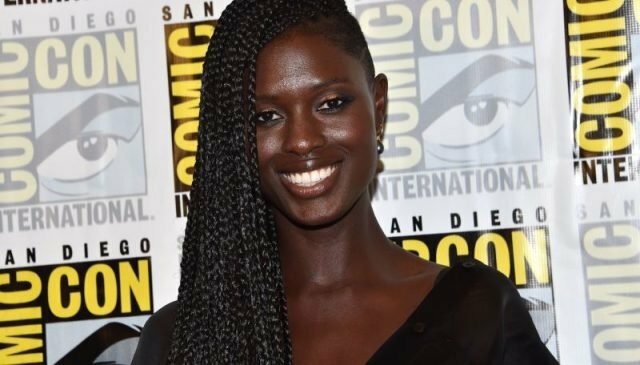 The post Jodie Turner-Smith Joins Daniel Kaluuya in Queen & Slim appeared first on ComingSoon.net.